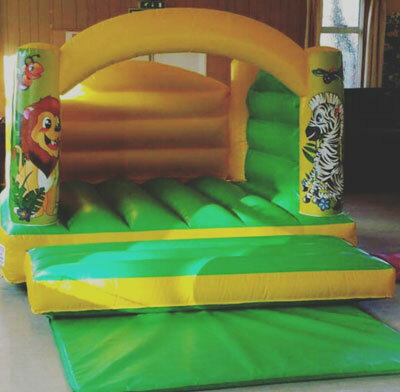 Bouncy Castles | NutNuts Soft Play Hire Ltd.
NutNuts Soft Play Hire's Bouncy Castles are also available to hire without a soft play package. Our larger 15ft x 12ft 'Party Time' Bouncy Castle has a built in rain cover / sun shade to protect children in the unpredictable British weather. 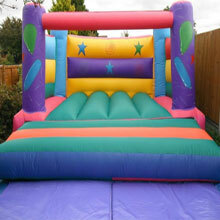 This castle can be used indoor or out with a height of 9.5ft and is suitable for children up to 12 years old. Requires an area of 14ft wide x 18ft long. 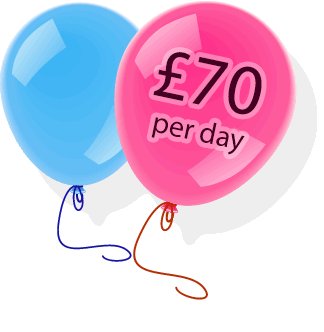 Our colourful 12ft x 12ft Bouncy Castle has a low 7ft height - perfect for indoor hire but can also be used outdoors and is suitable for children up to 12 years old. Requires an area of 14ft wide x 15ft long. 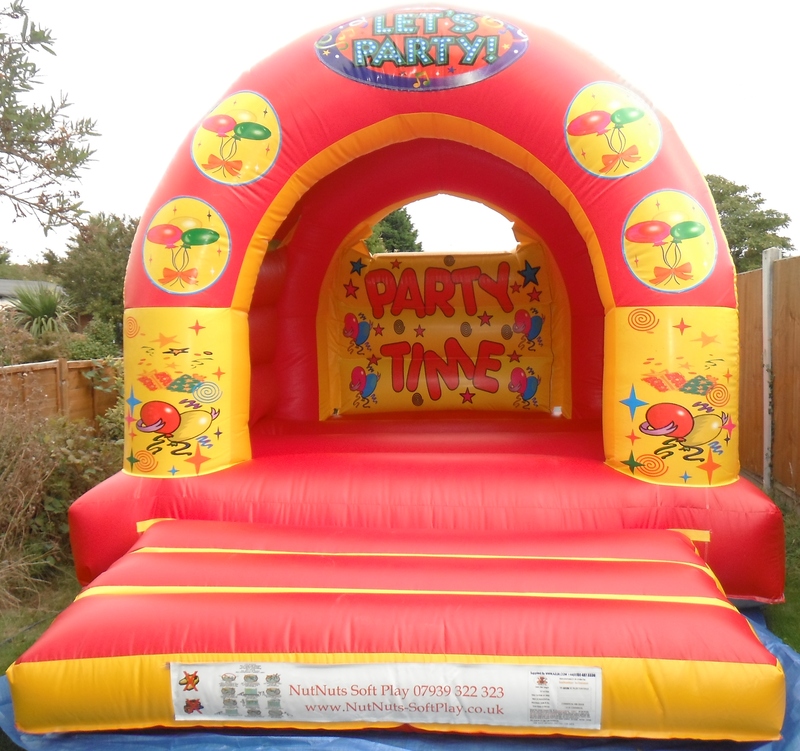 8ft x 11ft Tots Bouncer - for up to 6 year olds only. Requires an area of 13ft wide x 11ft deep. All our castles have up to date inspection certificates and are inspected and cleaned hygienically before and after every use and monthly deep cleans.